Recurring Ringworm: Can It Be Candida? - YeastInfection.Org by Eric Bakker N.D.
You are here: Home / Other Issues / Recurring Ringworm: Can It Be Candida? Alex is seventeen years old and is good about balancing his life between jogging with his two dogs, working at the gym, attending class and doing homework, and playing video games. He has had recurring ring worm infections, and though creams will resolve the issue for a short period of time, the ringworm always comes back within a couple of weeks after stopping the application of antifungal cream. He got the cream from his doctor, and has tried a few others that have not been successful. He’d like to know if this could be candida or another health concern. Ringworm, dermatophytosis, or tinea, is a contagious skin fungus that is contagious and often a result of candida overgrowth. The most common treatment is topical ointments and creams. These may work at first, but if the fungus is burrowed deeper into the skin or body, it will come back. As a fungus, ringworm thrives in dark and damp places, and the transmission through wet areas, socks, and other undergarments is not unusual. Depending on where the infection is, there are different types of ringworm. It’s a scaly and crusty rash that usually takes on the appearance of a worm by its thin, curving shape like a red ring of blisters. It can develop anywhere on the body, including the scalp (which may cause hair loss), feet (athlete’s foot), nails, and genital areas (jock itch). Pets with ringworm can also transmit the infection to humans. It’s important to treat any pet-related infections since the fungus can live for several months even away from a body. Frequent vacuuming and other measures to reduce pet dander and fur will help keep the environment clean, as will disinfecting the home and giving the pet medicated baths. Personal hygiene is also important to prevent transmission from pet to person. Ringworm and candida are both a type of fungi. Ringworm is limited to skin, hair, and nail infections. Candida is a yeast that can affect many areas of the body, including skin as well. If ringworm recurs, a low immune system or unhealthy lifestyle may contribute to the chronic infections. An underlying cause such as a candida infection is another consideration. Dermatitis is an inflammation of the skin that can be mistaken for ringworm and may be the result of a candida infection. This can include eczema, dandruff, and general rashes. Both candida and ringworm share the same dietary guidelines for healing. If choosing to undergo a candida infection, be aware that candida often tries to escape the body through skin, which can cause ringworm and similar infections. To determine if candida overgrowth may be the underlying cause for recurring infections, a thorough and easy quiz is available to establish how likely a yeast infection is present in the body and how significant the overgrowth may be. Until floors can be thoroughly cleaned, do not walk around barefoot for risk of contraction. Clean socks, slippers, or shoes should be worn at all times. Avoid public gyms and pools to the best of your ability. If at a pool, wear water-resistant shoes to avoid direct contact with potential contaminants. Do not share hair brushes, towels, clothing, and other items that come into direct skin contact with the affected areas. Wear clean socks each time shoes are used. When exercising, wear clean gym clothes and use a new towel each day. Natural shower gels that are antibacterial with herbs such as neem oil or tea tree oil can support skin disinfection and fight ringworm on the external level. Improving the immune system is important to stop recurring ringworm. Fresh fruits and vegetables support a healthy immune system, as do probiotics. 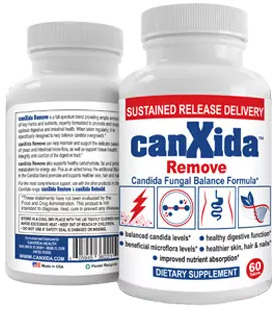 Canxida Restore is one probiotic that helps balance internal flora to maintain healthy immune function. Fighting a fungal infection internally helps support the body’s immune system, detoxification, and healing at a deeper level that antifungal creams cannot penetrate. Canxida Remove contains many ingredients such as caprylic acid and grapefruit seed extract to fight infections, and oregano oil, which is a powerful antiseptic. An internal formula can be used with a more potent and natural cream like Canxida Cream to truly fight affected areas while healing the body. Most antifungal creams contain one or two main ingredients, but these are not always powerful enough to provide long-term health. Teatree oil and oregano leaf oil are antiseptics that help clear up skin infections, while aloe vera and olive oil combine hydration and nourishment along with antiseptic properties. Removing sugars from the diet is another important step to starve the fungus. This includes alcohol and most fruits. Artificial sweeteners may weaken the immune system and other body functions as the chemicals do not register as food. Natural sweetener alternatives such as xylitol and stevia are debated in terms of whether or not they feed fungus. The safest method would be to avoid all sugars, a couple drops of stevia should not have a negative impact. Taking a multivitamin is important for the body’s immune system and general wellbeing. Canxida Rebuild is formulated for fungal, bacterial, and parasitic infections of the body. Extra minerals help support the immune system, energy, and skin health.